Iditarod mushers who want to haul resting dogs during next year's 1,000-mile race to Nome will face further restrictions, following a vote by the Iditarod Board of Directors on Friday. In the 4-3 vote, the board decided that mushers can only carry dogs in front of their racing sleds' handlebars, so they can see the dogs at all times. "I don't think it's necessary to haul dogs in a trailer to get to Nome," said Rick Swenson, a board member and five-time Iditarod champion who finished his last Iditarod in 2012. Swenson, who voted in favor of the restriction, said over the past 40 or so years, mushers have bred and trained their dogs so each canine team member "could get to Nome under its own power." The rule change will impede the race strategies used by father-and-son Iditarod champions Mitch and Dallas Seavey, who have used sled compartments to gain a competitive edge, carrying multiple dogs at a time as their teams travel down the trail, much like a basketball coach resting players on the bench during a game. Mitch Seavey placed first in the 2017 Iditarod and his son placed second. The Iditarod Board of Directors imposed looser restrictions on hauling dogs before the 2017 Iditarod, citing safety concerns. They tweaked rule language so mushers could only carry dogs in their front sleds and forbade them from carrying the dogs in caboose-like kennels hooked to the back of their racing sleds, a strategy spearheaded by four-time Iditarod champion Jeff King. 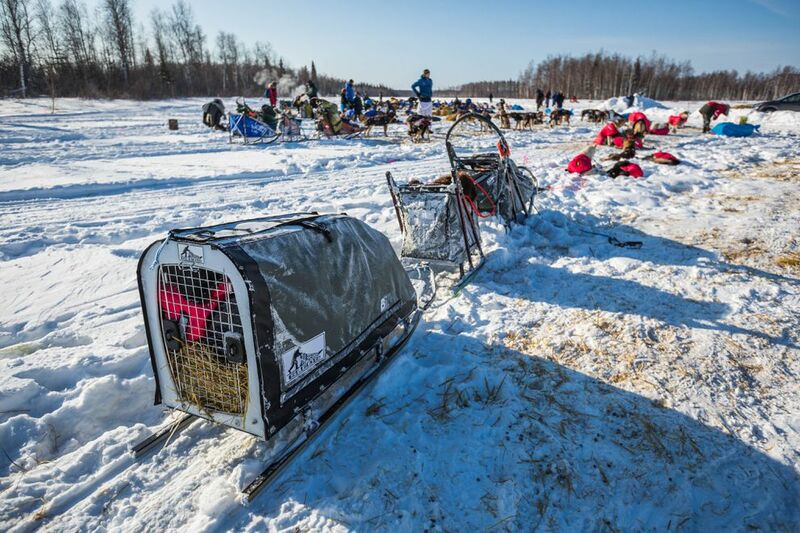 In response to the controversial rule change, the 2017 Iditarod saw a tiny wave of high-tech sleds from mushers, including the Seaveys, that incorporated space to haul dogs both in front of the handlebars and in boxes on the back of the sled runners, behind where the musher would stand. Under the new rules, those sleds are forbidden. Wade Marrs, the incoming musher representative on the Iditarod Board of Directors, who cannot yet vote at meetings, asked the board to strip away all restrictions on hauling dogs, legalizing trailers again. 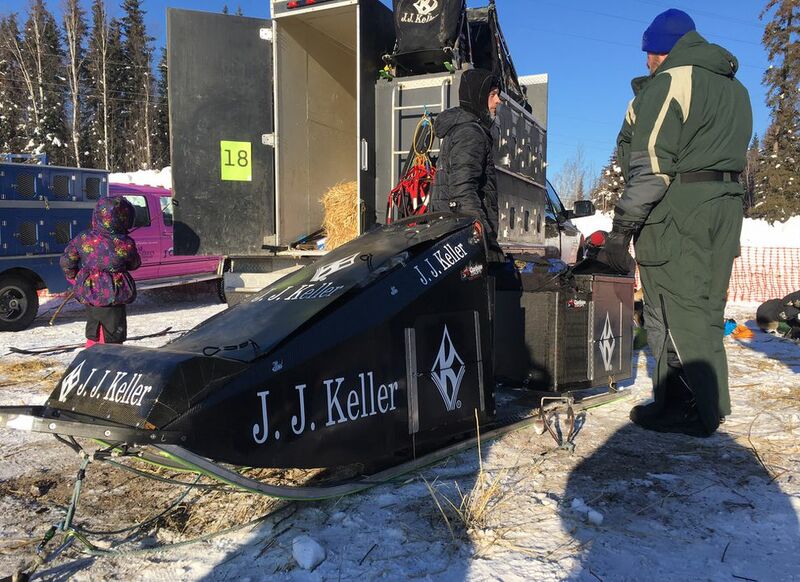 He said the elimination was recommended by the five-member rules committee that includes Marrs, four-time Iditarod champion Lance Mackey and three-time Kusko 300 champion Pete Kaiser. Marrs said mushers largely supported eliminating restrictions on hauling dogs. He said the committee didn't want to see innovation limited. "If you go against hauling dogs, you are going against the mushers," Marrs told the board. 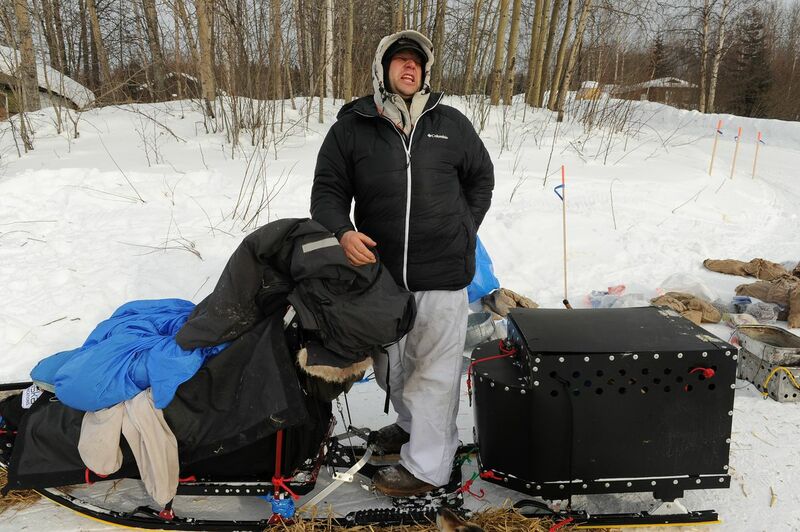 Marrs, of Willow, placed sixth in the 2017 Iditarod and said his strategy did not include hauling resting dogs. Swenson brought forward the amendment Friday to further restrict dog hauling. Mike Owens, Aaron Burmeister and John Handeland also voted in favor of the amendment. Mike Jonrowe, Stan Foo and Danny Seybert voted against the rule. Three-time Iditarod champion Mitch Seavey said in a brief interview Friday evening that he viewed the rule change "as an honor," likening it to when the NCAA banned dunking from 1967 to 1976. 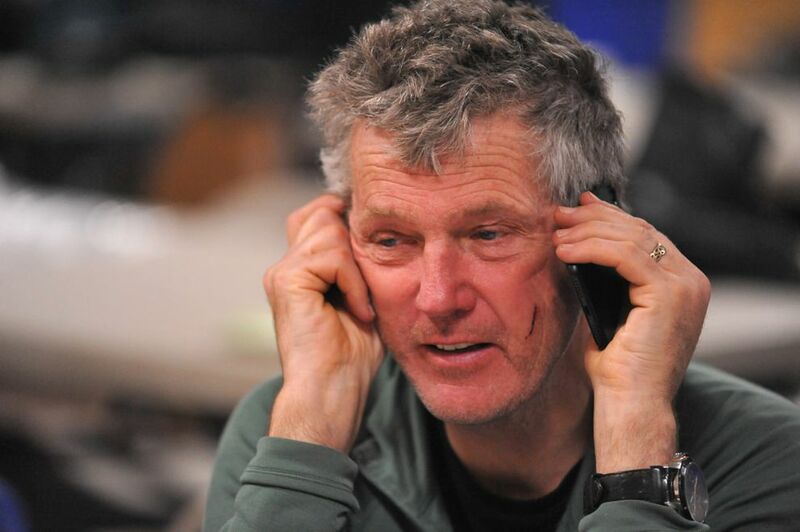 Marrs also told board members Friday that the rules committee recommended they reverse the controversial rule adopted last year that allows mushers to carry two-way communication devices on the trail, including cellphones and satellite phones. The board voted against the reversal in a 2-5 vote, with only Jonrowe and Owens voting in favor of returning to the communication blackout.